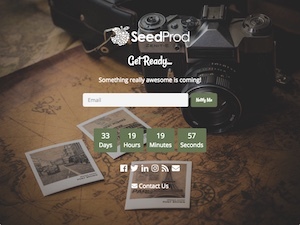 Get access to free backimages, fonts and themes to jump start your Coming Soon Page design. 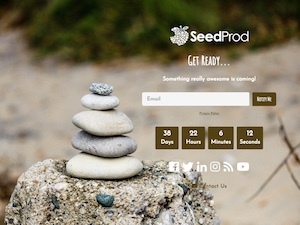 Store emails directly in WordPress, use our built-in integrations, or connect to any of the 1000+ services supported via Zapier.com to start collecting leads on day one. 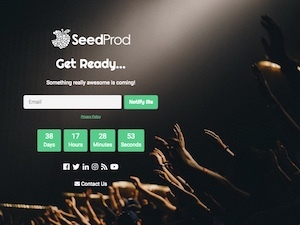 Hide or Show parts of your site based on the ip, role and more. 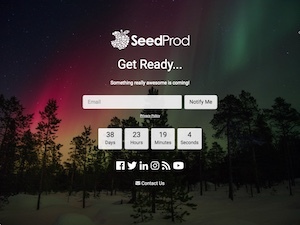 Even allow people to bypass the coming soon page with a simple link. 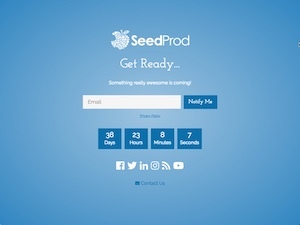 Grow your social following by allowing people to share your website on popular social networks like Facebook and Twitter. 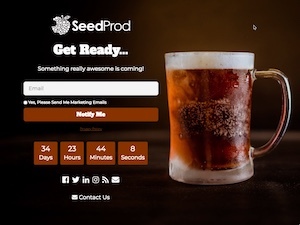 Reward people the more they share with our referral tracking creating a viral loop. 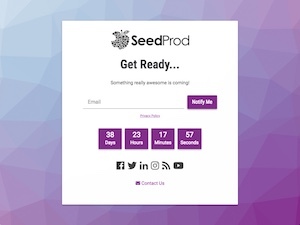 Easily add a pop up contact form so people can contact you before you site goes live and you can start building relationships with visitors who are interested in with what you have coming. 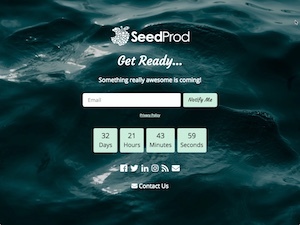 Realtime Page Builder Customs colors, fonts, sizes, layout and more. All in an easy to use interface. 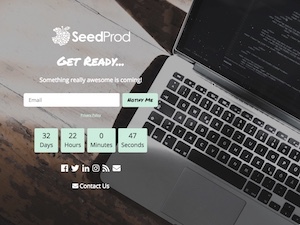 No Coding! 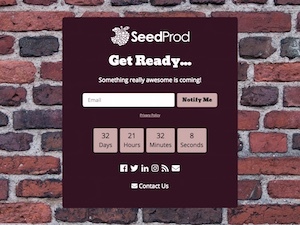 Custom Footer Branding Display your logo on a client site or other secondary information you'd like to display. 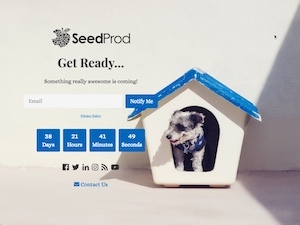 Custom CSS & TemplatesTake full control of the design by adding your own css or html. 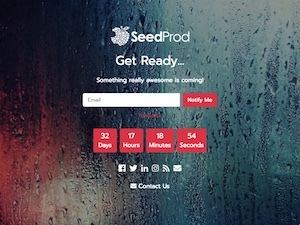 Custom Social Icons SupportDon't like our icons, easily use your own. 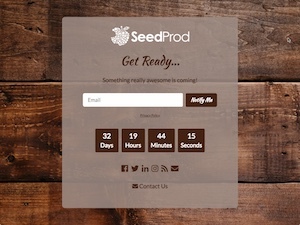 Visible to non logged in Users Work on your site behind the while visitors see the Coming Soon Page. 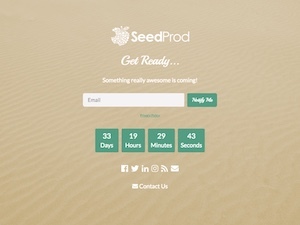 ByPass Link Give your clients or any other user a link that allows them to easily bypass the Coming Soon Page and view the website without logging in. 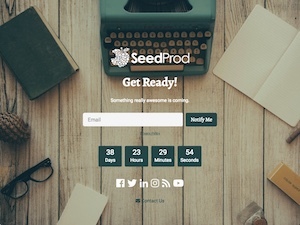 Include/Exclude URLs Show the parts of your site or hide the parts that are not ready. 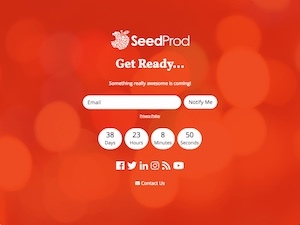 Zapier IntegrationDon't see your email service? 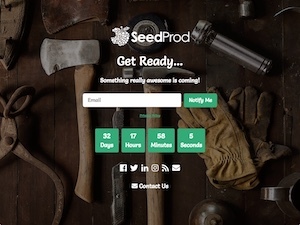 No problem with Zapier integrate with over 750 apps and services. 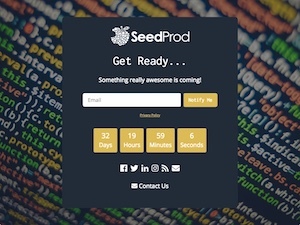 Translation Ready i18n & RTL SupportAll text strings displayed, can be translated to your language. 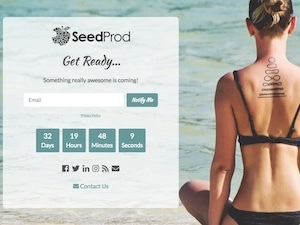 Search Engine Optimized Optimized markup. Customizable metadata and open graph data. 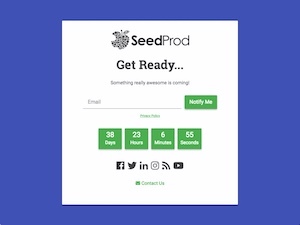 Easily Embed Photos & Videos Embed your photos from services like Instagram or videos from YouTube, Vimeo and more just by pasting the url in the description. 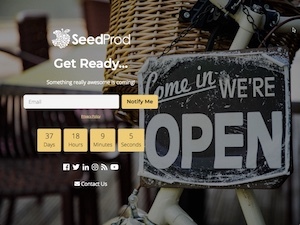 Maintenance Mode Notify search engines that you are down without affecting your rank by delivering the proper 503 header http status. 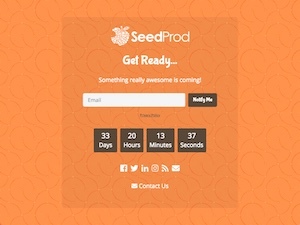 Redirect ModeUse any WordPress page as a Coming Soon Page. 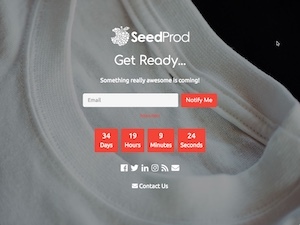 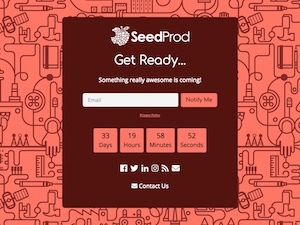 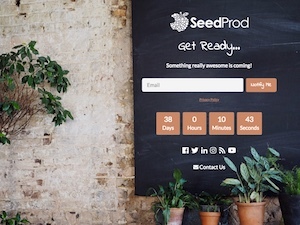 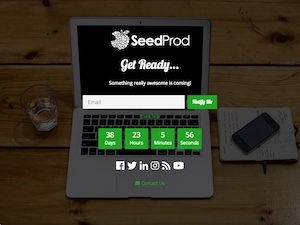 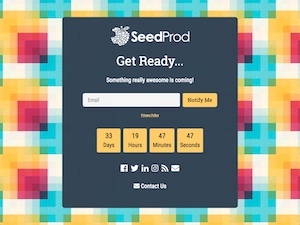 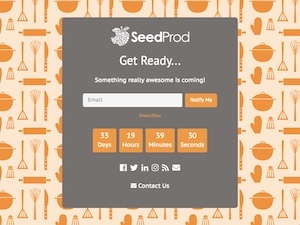 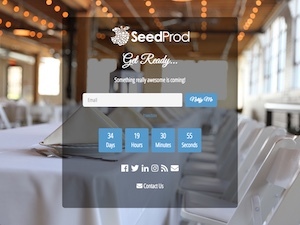 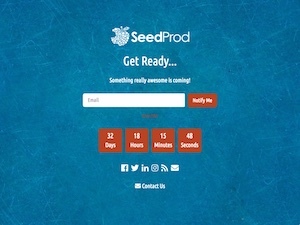 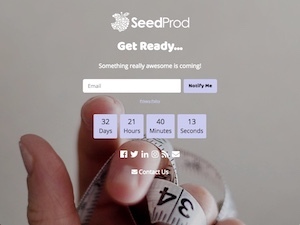 "Coming Soon Pro by SeedProd is fantastic! 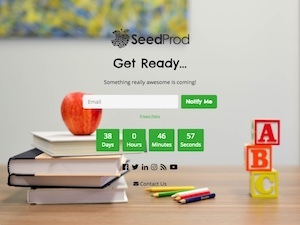 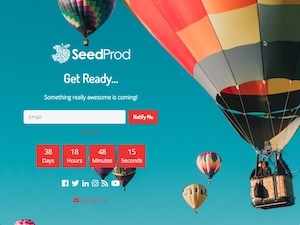 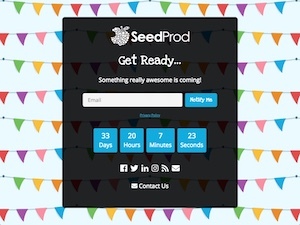 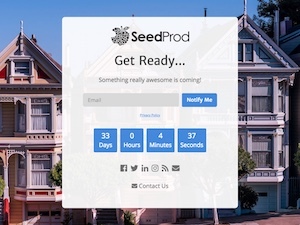 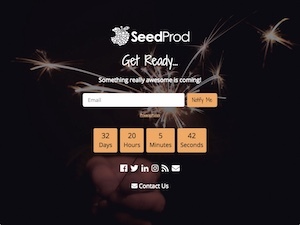 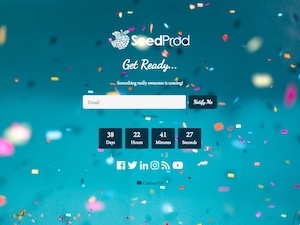 "Fun coming soon page design using SeedProd It's the best landing page design plugin bar none." 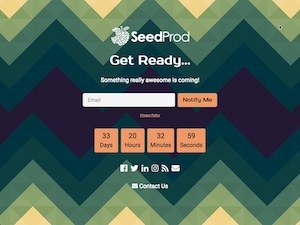 "Just want to shout out SeedProd for seriously having the best coming soon plugin. 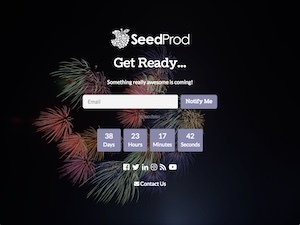 Easy to use, beautiful to look at! 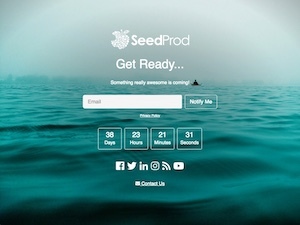 Go check it out." 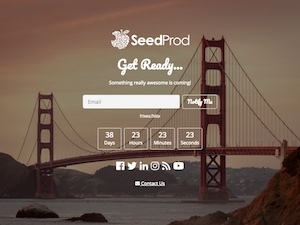 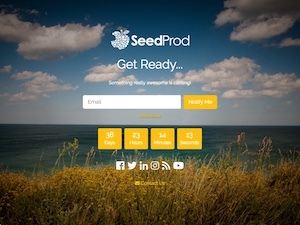 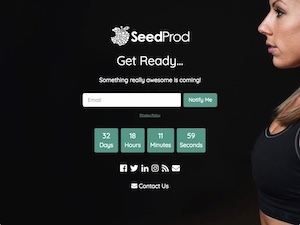 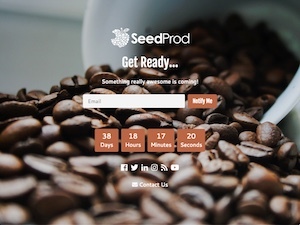 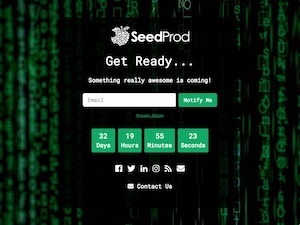 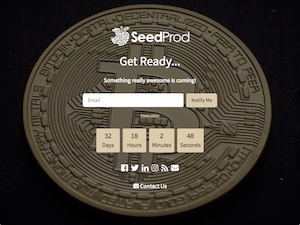 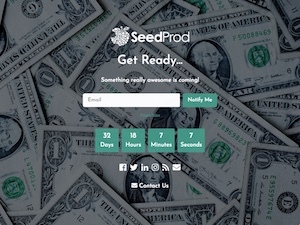 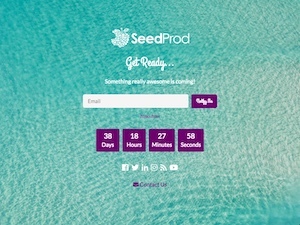 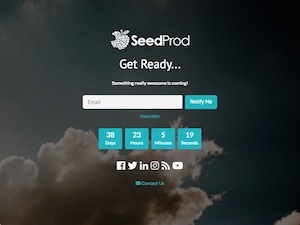 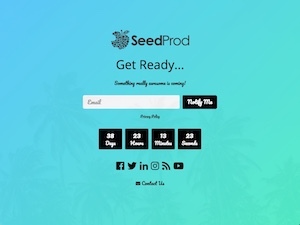 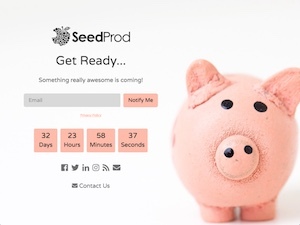 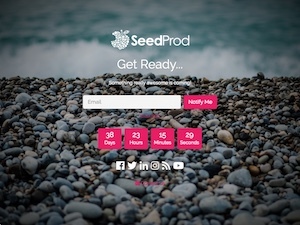 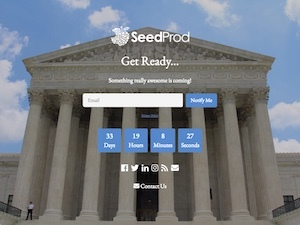 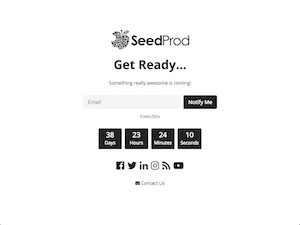 "Used SeedProd for my “coming soon” page. 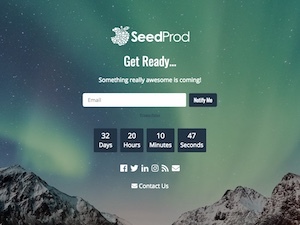 pretty sweet plugin!" 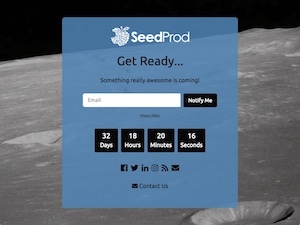 The Ultimate Coming Soon Page, Launch Page, Under Construction Page & Maintenance Mode Plugin for WordPress.